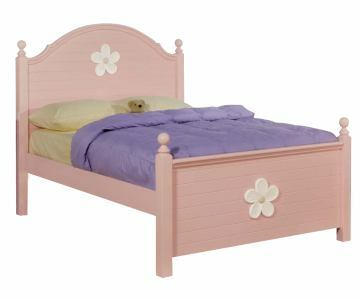 This Floresville Pink Bed with Shaped Headboard features gorgeous pink finish with white daisy carving on the headboard and footboard, while beautiful round finial and shaped headboard creates a "girly" look. 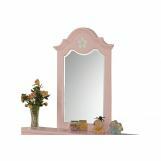 Crafted with fine attention to details for a charming look, it displays a simple yet transitional design to enhance the aesthetic appeal of your child's settings with the finish of course is in a playful pink. 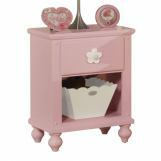 Is sure to be a wonderful addition to any girl's room. 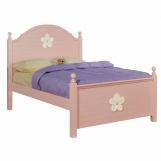 This beautifully designed bed will bring warm feel of spring to your little girl's room all year long. 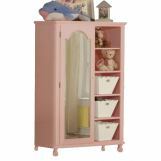 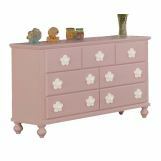 Matching nightstand, mirror, dresser, chest and TV armoire are available separately. 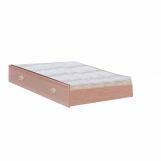 Does the drawer under the bed included?